WOLCOTT, Colorado – Lt. Jodi Pratt and firefighters from the Eagle River Fire Protection District have cut down numerous dead and dying trees on Bellyache Ridge over the last few weeks in an effort to reduce the threat of wildfire. Working closely with homeowners and the county’s wildfire mitigation manager, Eric Lovgren, firefighters targeted trees that had been killed by the mountain pine beetle. Slash piles from the project are slated for burning during the winter once a sufficient amount of snow is on the ground. 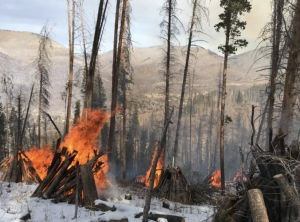 The work being completed by firefighters on Bellyache Ridge is part of a larger project being managed by Eagle County to remove about 50 acres of dead and dying lodgepole pine trees. 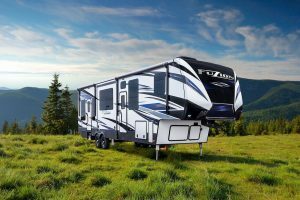 The project is a collaborative effort by Eagle County, the Eagle River Fire Protection District, Colorado State Forest Service, Holy Cross Energy and the Bellyache Ridge Home Owner’s Association. A large amount of firewood from the project is being made available to the public; those interested should call Lovgren at 970-328-8742.